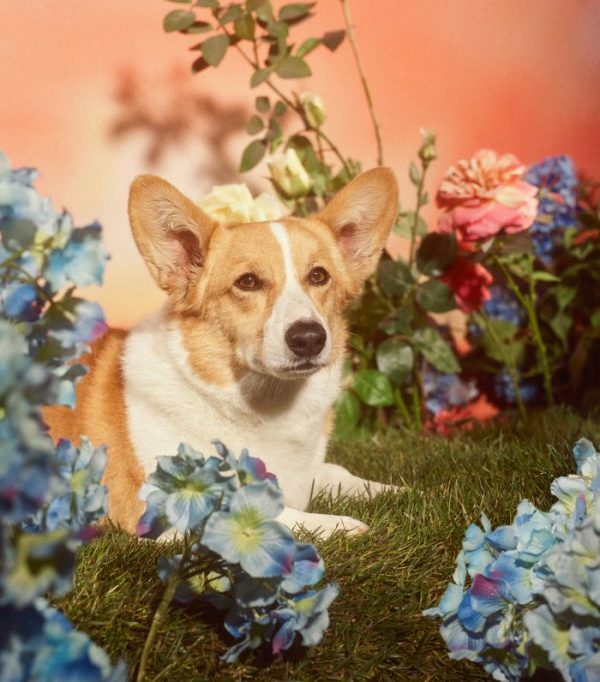 You are currently browsing the archives for the day Sunday, February 4th, 2018. 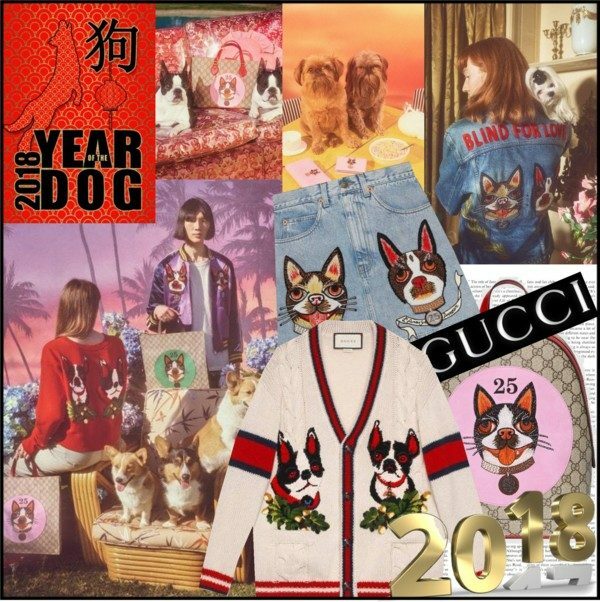 The next Chinese New Year begins on 16th February 2018, and Gucci will celebrate the year of the dog with a dedicated collection of special items. 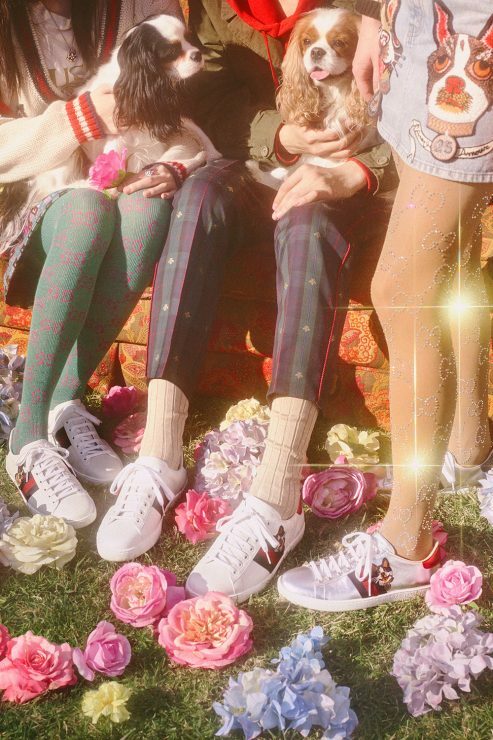 Gucci’s dog motifs for this collection were inspired by a pillow that the artist Helen Downie, AKA Unskilled Worker, gave as a gift to Gucci’s Creative Director Alessandro Michele, which featured an illustration of his two Boston terriers, Bosco and Orso. 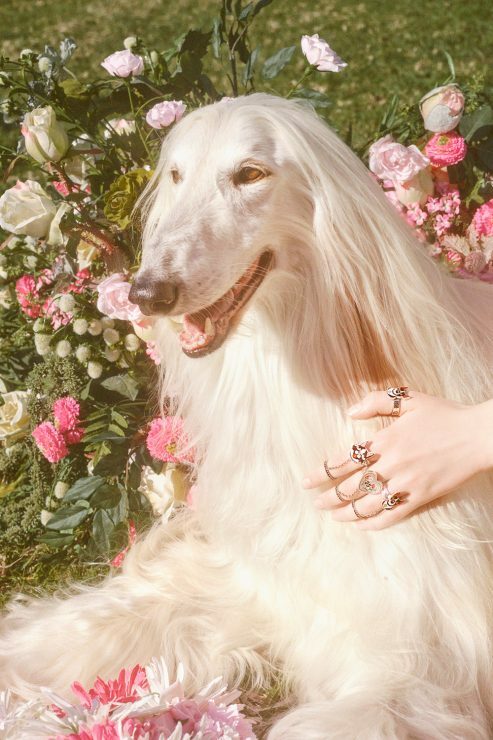 Unskilled Worker’s dogs adorn a wide range of pieces that have been developed for the collection, including items of clothing (women’s and men’s ready-to-wear), shoes, handbags, luggage, small leather goods and accessories. Women’s brightly coloured knitted sweaters, and denim shorts, feature the images, as do men’s hoodies and bomber jackets. 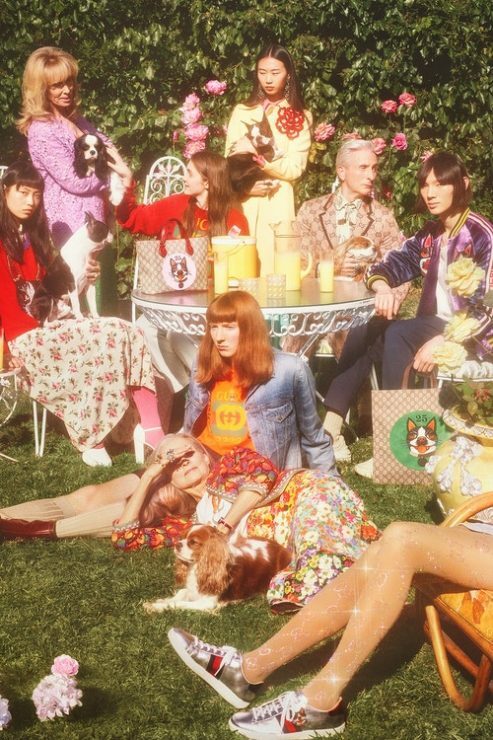 The animals appear large on backpacks and tote bags in the Gucci Supreme material, and on colourful leather clutch bags and wallets. 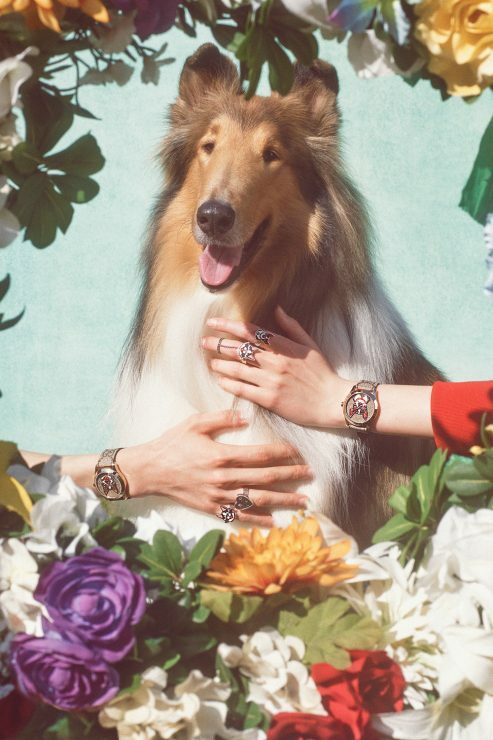 Scarves, trainers and jewellery are also embellished with pictures of these two dogs, while watches display the dog ‘faces’ on their faces. 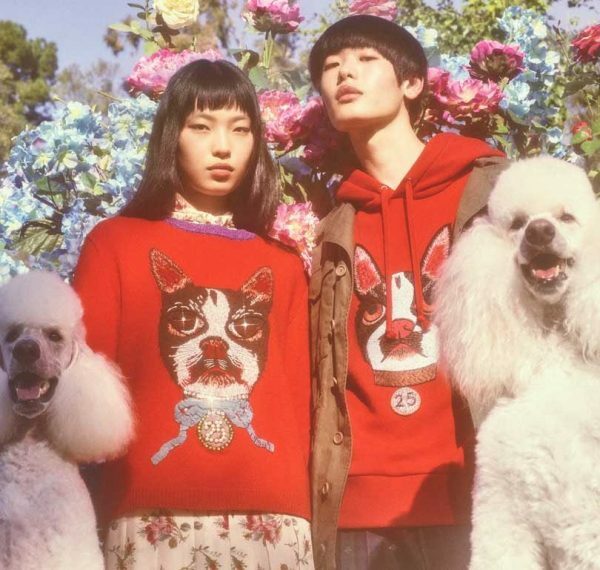 There are 63 items in total in the collection, and it will be promoted across Gucci’s digital channels (notably on its newly-launched e-commerce channel in China) and in store, with special packaging. 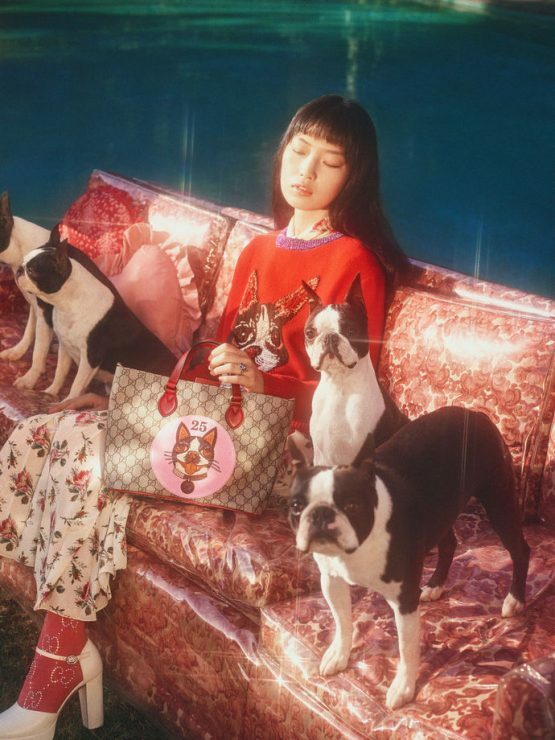 Store windows will also be dedicated to the collection, with tartan walls, floor and matching tartan upholstered mini-bench seats for displaying products, with a giant image of each dog on the rear wall. 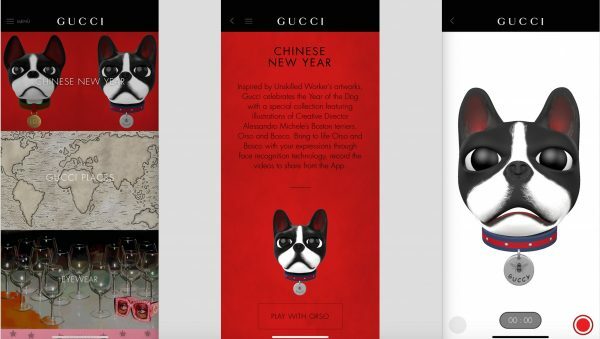 For iPhone X users, special interactive content will be available on the Gucci App. One will be bale to bring to life Orso and Bosco with one’s expressions, through special face recognition technology, and record a video that can be shared from the app. 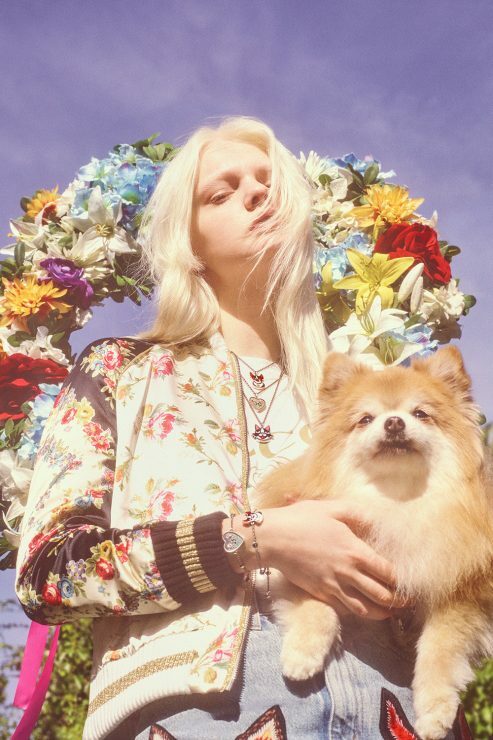 The collection is now available in all markets, both in stores and online. 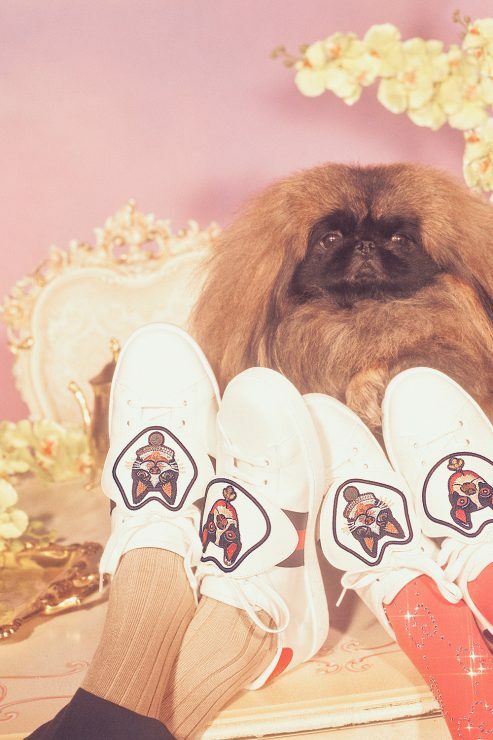 TO SHOP GUCCI’S CHINESE YEAR COLLECTION ONLINE, CLICK HERE PLEASE.